50 x 61 cm - 19 5/8 x 24 in. Atelier Degas – Vente Degas, 1918, I, n° 9 (repr.) – Mouradian-Vallotton, Paris - Mildred Anna Williams - San Francisco, Fine Arts Museums, 1952 (Don Mildred Anna Williams). Paris, galerie Mouradian-Vallotton, 1938, n° 11 – San Antonio, Marion Koogler Mc Nay Art Institute, 1956, Shadow and Substance, (n.n., n.p.) - Los Angeles County Museum, 1958, Ed. Degas, n° 15 - New York, Wildenstein & Co., 1960, n° 16 (repr.) - La Nouvelle Orléans, Isaac Delgado Museum, 1965, (n.n. ), pl. III, repr. p. 45 - Denver, Minneapolis, 1978-1979, Masterpieces of French Art - New York, Wildenstein & Co., 1979, French Pastels, (?) - Fukuoka, Osaka, Yokohama, 1992, n° 59, p. 149, 248 - Auckland City Art Gallery, 1993, n° 59, p. 152, 154 (repr.) - Copenhague, Ordrupgaard, 1999, n° 15, repr. p. 83 - Ferrare, Palazzo dei Diamanti, 2003, Degas e gli italiani a Parigi (Pas au catalogue. 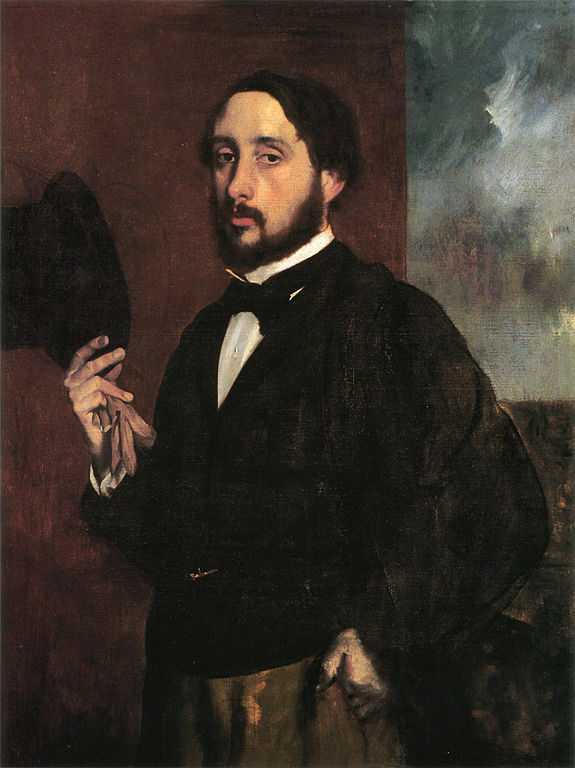 Chapitre sur l'opéra) - Edimbourg, National Gallery of Scotland, 2003-2004, Degas and the Italians in Italy (Pas au catalogue) - Glen Falls, The Hyde Collection Art Museum, 2009, n° 10, p. 65-66 (repr.) - San Francisco, Palace of the Legion of Honor, 2010, Impressionist Paris: City of Light, fig. 75, repr. p. 98. Lemoisne, 1946-1949, II, n° 187, repr. p. 99 – Lassaigne, Minervino, 1974, n° 287, repr. p. 99 – Paris, Ottawa, New York, fig. 88, repr. p. 161 - La Nouvelle Orléans, Copenhague, 1999, p. 159, repr. p. 82 - Nash, Orr, Stewart, Masterworks of European Painting in the California Palace of the Legion of Honor, 1999, p. 128 - Alsdorf, La Revue du musée d'Orsay, n° 30, automne 2010, p. 20, repr. 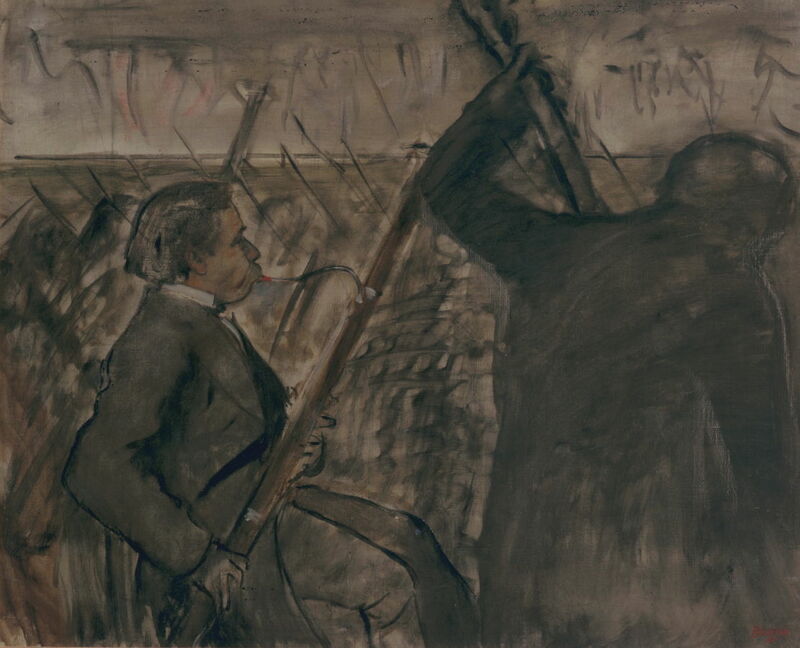 p. 21 - Keyes, " Degas, Toulouse-Lautrec and Désiré Dihau", The Double Reed, vol.38, n° 2, p. 89, repr. p. 95.